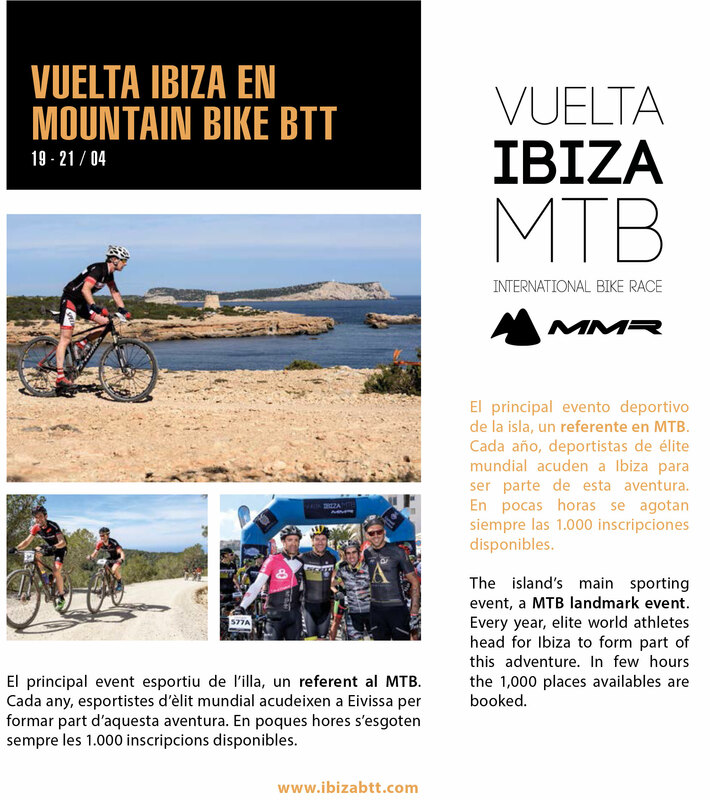 A new edition of the Vuelta a Ibiza is back in Mountain Bike, which in 2019 will celebrate its 19th edition. The organizational team is already working, with more enthusiasm and commitment than ever, to make this edition a unique experience . 3 days and 3 stages of mountain bike on the island of Ibiza, under an incomparable and incomparable natural environment, with more than 5,850 meters of accumulated altitude and 230 Kms. Also note that the test is designed for families and companions, since for them there is a wide program of activities, so that during the course of La Vuelta a Ibiza, they can enjoy initiatives designed exclusively for them.